When Fernando DaSilva has a new necklace to share, one of two thoughts always come into my mind. One. I know what I could wear this with…..
Two. Where did he find that……. This red and white necklace is super light weight and features the Double Coin knot from Fernando’s book for John Bead: Lovely Knots – An Introduction to Chinese Knotting. Our Lovely knots cord selection is wonderful. 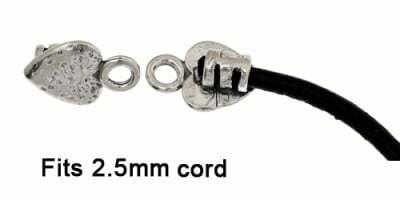 Available in 1mm and 2mm. The Swarovski coral 3 sprig pendant is available in 18 different colours! One of the best Chinese knots you can learn to make in Fernando DaSilva’s new booklet; Lovely Knots – An Introduction to Chinese Knotting is the Double Button Knot. This necklace features nine knots and as you can see the Lovely Knots cord on its own is beautiful. Fernando used Navy Blue and Aqua Blue Lovely Knots 2mm cord. The “Double Button Knot” is one of ten knots you can learn to make! 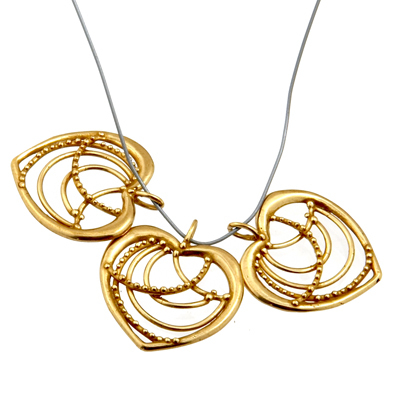 I love everything shown in this picture of Fernando DaSilva’s newest necklace. This is Fernando’s way of introducing you to some of our new findings. The new magnetic clasp range is wonderful and I have started a new category on the sidebar of the blog called “Magnetic” so you can see all our posts about it! 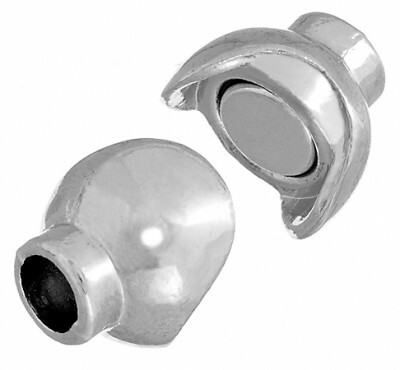 These glue-in clasps give you such a crisp and professional finish. Our new Silver and Gold end caps. The knotted leather cord and Fernando’s hand made Lovely Knots tassels are a wonderful salute to the 2013 colour of the year; Emerald Green. Last, my favorite feature is how Fernando incorporated these heart shaped pewter end caps into the cord design. Fernando DaSilva is John Bead’s product development and creative manager. 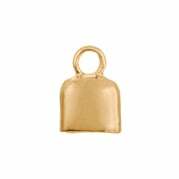 So it should not surprise you that if you ask him to “describe our new Dazzle-it magnetic clasps” that we are going to get a fabulous sample to show off. 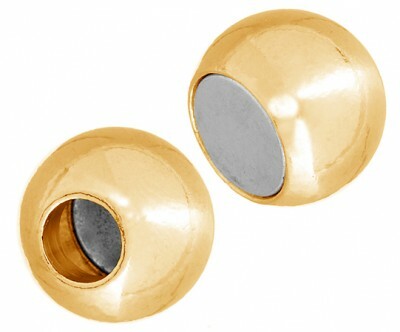 These new magnetic clasps finish your designs so elegantly! 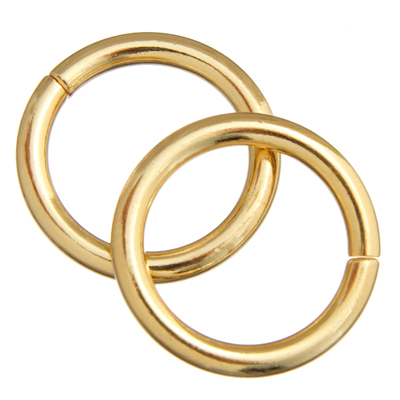 Red Lovely Knots cording just pops against the gold! 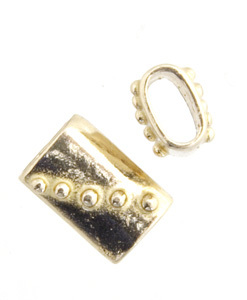 Brass tube with dots spacer beads. This is the Pipa Knot beautifully showcased in an earring set designed by Fernando DaSilva for his new book; Lovely Knots – An Introduction to Chinese Knotting. It features just one of the ten knots you can learn in the step by step photographed booklet. What I really liked was how one colour of Lovely Knots cord could look so beautiful paired with a simple pearl. By the late 1930’s, Chanel’s necklaces had grown from single-strand chokers and sautoirs into bibs. In the early 1990s, Karl Lagerfeld occasionally paired Chanel haute-couture with over the top beaded jewelry. Currently, I have observed a comeback of the bib necklace, probably boosted by the opulent and luxurious jewelry worn on the movie “The Great Gatsby.” Those were some of my influences to create this piece. 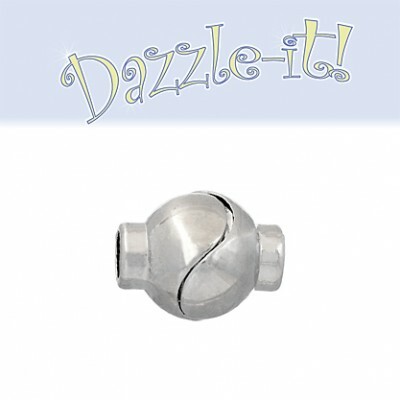 I wanted to showcase the latest and newest products that we added to our Dazzle-it! line. The products are the main inspirational source for this design. I wanted to create something to be paired with a day dress and I wanted it to turn people’s heads. It needed to be something with a “zoom zoom zoom” about it. The Divas Who Could Pull This Off: Carmen Miranda and Erika Badu. The bib section was designed first and then I created a triple twisted Kumihimo cord to use as the structure. The cord needed to be strong enough to sustain the “cascade” of beads. I combined our fantastic Lovely Knots braided cords with a satin aquamarine cord. I think it is much more interesting than other types of Kumi and it speaks louder to my style. It has texture, depth and by using two different sizes of cords together I made it three dimensional. I also wanted to display one of our newest end caps. Multi strands cords can be glued-in so the ends are impeccably finished. The biggest problem for me was deciding on the right material for the back section. After experimenting with a variety of materials, I finally decided that the piece was calling for something light and airy and the satin ribbon became my final choice. It also brought a French romantic edge to the piece that works perfectly with summer luncheons, brunches and lazy delicious sunset cocktails. It’s ultra chic but at the same time simple. Also: BeadFix gel by Beadalon was used to attach cone ends. Several weeks ago I posted this picture of the design in progress and asked our Facebook friends to fill in the blank: Working on a new piece – a bib style necklace held by ______________. Your excellent guesses made you winners. 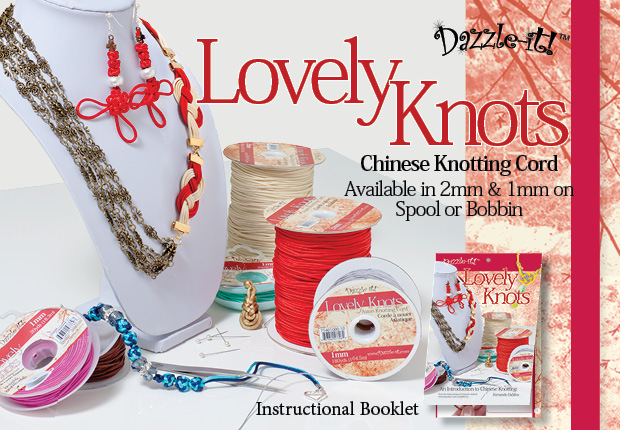 You will receive a signed copy of my new book “Lovely Knots – An introduction to Chinese Knotting” accompanied by 2 small spools of Dazzle-it lovely knots braided cord. Please send us a personal message with your mailing address to info@dazzle-it.com. This necklace is featured on the cover of Fernando DaSilva’s new booklet; Lovely Knots – An Introduction to Chinese Knotting. It is a wonderful example of how Lovely Knots can be showcased in your designs. Fernando used red and ivory lovely knots 2mm cord to create the two side knots that are attached with ribbon cord ends. The fancy chain is gorgeous and the five strands side by side look amazing. What a pleasure it is for me to showcase the projects of some of my good friends and fellow designers. They each received a Lovely Knots kit from Dazzle-it and had two weeks to come up with a project. Not one of these participants had knotting experience…so let me just say, I did cause them a little stress and there was some good natured grumbling. In the end though, as suspected, they all managed to create projects that could have appeared as samples in our new booklet: Lovely Knots – An Introduction to Chinese Knotting by Fernando DaSilva. Fernando, you made several new Chinese knot fans! The “Berries on the Vine” by Erin stopped me in my tracks. She featured knots with components in a way I never would have imagined. So inspiring! This bracelet by Vickie will have you rummaging through your stash for some big hole beads! She showcased her knots like they were beads! Charlotte made this gorgeous infinity bracelet and her blog post shows you each step she took to complete it! Jean Yates added turquoise and shell to create a “knotty” set of jewelry! Clearly, she was meant to learn the art of Chinese Knotting! You really must see the lovely post and lucky coin bracelet by Suzann Sladcik Wilson! Becky Olsen and her daughter made two projects! 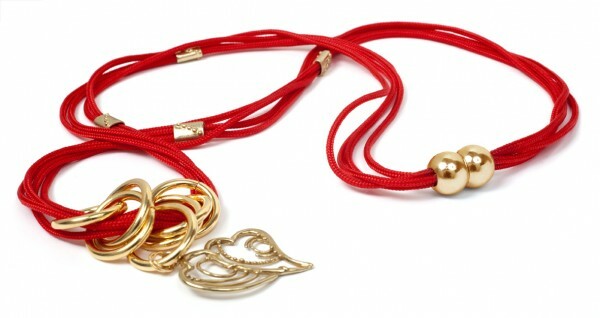 The aqua and red necklace is a favorite and it really features the knots beautifully! My friend Laura Weed at Stampendous was a reluctant knotter…and then she outdid herself with this showstopper and several different knots! Karen Ellis created this wonderful necklace with the assistance of her Sea Cadet daughter! Lisa Pace made the Infinity bracelet so elegantly that I know I have to make one myself as well! Nancy is our overachiever in this blog hop. Not only did she master two of the more difficult knots….but then she made several of them repeatedly for these fabulous necklaces!